How do we stop the busy and focus on loving God? 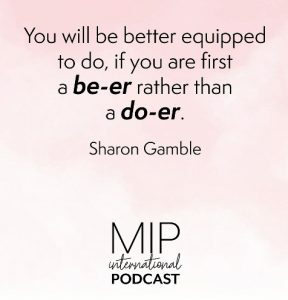 Today’s guest, former USA National Director for Moms in Prayer, Sharon Gamble, says it starts small, but we must quit filling the empty spaces. Lee and Sharon discuss learning a pattern of rhythm and rest and why it is important to model this rhythm for our children as well. This episode is full of practical tips to help make loving God your greatest priority. To connect with Sharon or to learn more about Sweet Selah Ministries, visit sweetselah.org or write to her at Sharon@SweetSelah.org. 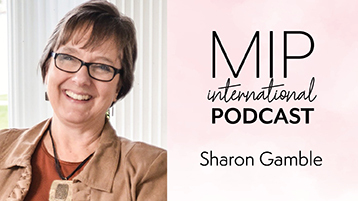 Sharon Gamble is the founder and director of Sweet Selah Ministries, a ministry devoted to encouraging women to “take time to know God and love Him more and more.” Sharon served as the USA National Director for 5 years, and has been a Moms in Prayer mom for 21 years. She is a frequent speaker at women’s events, an avid blogger, and a lover of quiet “selah” days spent with her Lord and Savior. Thank you. Some great suggestions. I realize I need to just keep my God appointment and not worry about the housework and other matters. I have started small and look forward to more. YESSSSSSSSSS POWERFUL podcast! i learned how to embrace and live out unapologetically my #DAWG from the best. THANK YOU SHARON, Lee and Moms In Prayer International!